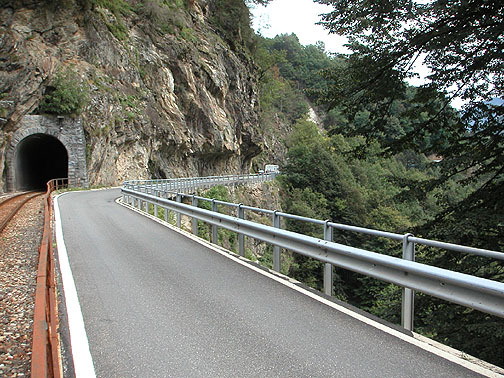 Centovalli - S337 is a typical Alpine road. Single lane barely wide enough for two cars, scary drop-off and no markings. And a lot more traffic than you'd think. ...complete with round figured priest. Some other trip we'll explore the hiking trail around Simplonpass.